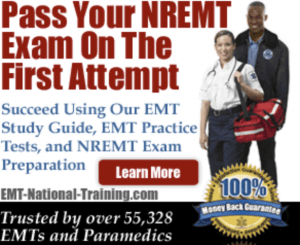 You are here: Home / EMT Salary / How Much Do EMTs Make in Nevada? How Much Do EMTs Make in Nevada? Do you know how much an EMT makes in Nevada? Probably not, and that’s okay. We’re here to help. In this article, you’ll finally find out what the average EMT salary is in Nevada. Looking at multiple cities to make this comparison, we dive deep, attempting to learn not just how much an EMT is paid each year, but what the paramedic salary and even flight paramedic salary is for comparison-sake. Despite the variances, the Bureau of Labor Statistics of the U.S. Department of Labor (BLS), which is the principal Federal agency in charge of calculating labor market activity, working conditions, and price changes in the economy, has not only determined the wages earned by EMTs in Nevada, but also employment levels locally and nationally. According to the BLS, the median salary for EMTs and paramedics in 2010 was $30,360. Most EMT’s and paramedics work full time, with roughly one-third of them working beyond their full-time hours. It’s important to note here that the above median wage for EMTs and paramedics listed above is just an average. The average salary differs greatly, with most of the variances coming based on where you live, what the cost of living is in your area, and other factors that may or may not have to deal directly with your actual employer. Now, let’s take a look at what the salaries look like for EMTs compared to paramedics and flight paramedics in a variety of cities within the state. These numbers come from Salary.com. In Las Vegas, EMTs make $30,296 every year. Paramedics make an average of $38,406 per year. And flight medics make $41,092 annually. In Henderson, EMTs make $30,296 every year. Paramedics make an average of $38,406 per year. And flight medics make $41,092 annually. In Reno, EMTs make $30,947 every year. Paramedics make an average of $39,231 per year. And flight medics make $41,974 annually. In North Las Vegas, EMTs make $30,296 every year. Paramedics make an average of $38,406 per year. And flight medics make $41,092 annually. In Sparks, EMTs make $30,947 every year. Paramedics make an average of $39,231 per year. And flight medics make $41,974 annually. Remember, too, that becoming an EMT doesn’t mean the end of your goals or ambitions in EMS. Many students use their EMT training in Nevada as a stepping-stone to become paramedics, EMT instructors, field training officers and more.